The New York Times just published an article reviewing some of the recent research on exercise, food intake and food reward, titled "Does Exercise Make You Overeat?". I was planning to write about this at some point, but I don't know when I'd be able to get around to it, and the NYT article is a fair treatment of the subject, so I'll just point you to the article. Basically, burning calories through exercise causes some people to eat more, but not everyone does, and a few people actually eat less. Alex Hutchinson discussed this point recently on his blog (1). Part of it depends on how much fat you carry-- if you're already lean, the body is more likely to increase hunger because it very much dislikes going too low in body fat. Most overweight/obese people do not totally make up for the calories they burn through exercise by eating more, so they lose fat. There is a lot of individual variability here. The average obese person won't lose a substantial amount of fat through exercise alone. However, everyone knows someone who lost 50+ pounds through exercise alone, and the controlled trials support that it happens in a minority of people. On the other side of the spectrum, I have a friend who gained fat while training for a marathon, and lost it afterward. Recent studies, reviewed in the NYT article, have shown that one of the key determinants of who eats more and who doesn't is the activation of reward circuits in the brain. From a neurobiology perspective, these are THE circuits that determine your motivation to seek and consume food. People who have increased reward circuit activation after exercise eat more; people who have less reward circuit activation after exercise eat less. It's nothing revolutionary, because it's exactly what you'd expect, but it's still nice to see it confirmed. Of course, hormones and other circulating signals influence what the brain decides, so they do have a substantial impact. But the brain is the ultimate arbiter of food intake behaviors, and hormones and other circulating signals are among many factors that it considers. I'll be exploring this in more detail in coming posts. I guess I’m one of those whose hunger goes away after exercising, especially if I exercise before dinner. On the other hand, I don’t want to lose any more weight. I’ve always been lean, but I lost a lot of fat by ditching “caloric beverages”. My currently body fat is about less than 10% and I haven’t exercised in a long time (I know this isn’t healthy; blame it on my crazy working schedule). It’s amazing how that can burn all your belly fat. By the way, I do eat a lot. Real food, of course: eggs, fish, meat, dairy, fruits, vegetables, some beans and lots of white rice and potatoes. I used to drink juice. I don’t anymore. I eat the whole fruit instead. That’s the only thing I changed in my diet and it really worked. Thanks for your work Stephan! I cannot buy the general idea that exercise does not help reduce fat storage. There is probably little to no benefit in chugging along for an hour, but I know several people who have drastically changed their body types with weight training, to the point where they are muscular and obesity resistant with good glucose tolerance. Interesting. I find that exercise reduces my appetite for a few hours afterwards - no matter what I am engaged in. I am a powerlifter, mountain biker, among other things. After a hard lifting session I usually am not very hungry for a few hours. And at mountain bike races (8 hours +) I have a really hard time eating during the race and for quite awhile after. I rarely ever have to eat during a 2-3 hour ride, while the guys I am with are choking down gels and bars ( I am female). I never get cramps or dehydrate (I do drink plenty of h2o), while the guys I am with always are. I am very much a reward eater. But, I also consider exercise a reward. I get stimulated and happy, sometimes euphoric exercising. Maybe the exercise is reward enough and I don't need the food? Perhaps they are both stimulating the same areas of the brain? BTW, I am not overweight, but not super-low body fat. I carry a good amount of lean body weight with a little cushion. I am a heavy lifter, but also a goat on the mountain bike ( I am strong, but also fast). Your work is great Stephan! I am so interested in the food reward idea and really believe that you are on to something. I propose a theory: Exercise raises minerals, especially calcium and magnesium (acutely during and after exercise). It is known that vitamin D can make people drop a couple of pounds and that vit D has the potential to both raise and lower magnesium/calcium - of course, an observational association and not necessarily causation. Post exercise serum levels of calcium and magnesium (among other things, like stress hormones of course) are elevated. My theory is that post-exercise nausea and loss of apetite are *partly* due to elevated mineral levels in the blood and that exercise-induced increase in insulin sensitivity, osteoblasts makes these minerals "go away" a few hours after exercise followed by an increase in apetite and eventually caloric intake. Anyhow, it is also known that calcium supplementation can make obese people drop a couple of pounds. I may be a weird case with an abnormal calcium requirement (long story). As an athelete I have always been able to train hard a couple of months during season shedding the excess body fat easily... until a point where fatigue sets in, I lower my spontaneous energy ependiture, get really hungry, eat more and gain the body fat back. The past few years I have dropped all exercise in periods to recover from a hard episode. The first half of last year went well, but about 6 months ago the same thing happened. However, this time I figured out what was missing - calcium. This changed the whole scenario - I could train even harder, eat like normal people, spontanteously maintain a low BF% without going "limp" from fatigue (calcium also increased both my strength and endurance pretty quickly). Postprandial somnolence from eating carbs has always been a problem during this period, it also went quickly away (my theory here is: the few minerals in the blood you do have "disappear" (into bones presumably) leading to fatigue, sleepiness and a mild case of cognitive impairment - something that doesn't happen when there's enough of these minerals). Usually, at the end of the season I've basically always developped intolerance to coffee (heart palpitation) and alchohol (excessive freezing) and a higher protein intake - all gone since starting calcium supplementation (at a quite high dose). I've had "athelete's foot" (infection) on and off the past 4-5 years (easily fixed by medicine, but not a real cure) and it's all gone since (without medicine). I also have a sort of eczema patch in my neck that further improved. Lots of benefits - besides being able to spontaneously move more just because I like it without feeling fatigued or run over and eat like crazy (and gain body fat like crazy). I'm not suggesting that everyone who develops hyperphagia from exercise is calcium, vit D or magnesium deficient - but it has changed my life a lot and I'm probably not alone. Anyway, my hypothesis is that if exercise makes bones absorb too much of your minerals (or wherever it goes) chances are you get fatigued and hungrier (and spontaneuously eat more calories than you burn). "Hormones don’t tell you to go eat. Your brain does." And here I was thinking that the brain was influenced by and in turn influences hormones- astonishing! It's hard to how this tells us anything about appetite hormones vs the brain- surely if you raise/lower some-one's appetite hormone, this is reflected in altered responsiveness to food. I question the study design. fMRIs 1 hr. post exercise may not capture changes which in my clinical experience tend to occur much later. Were I designing the study, fMRIs would need to have been conducted at multiple timepoints to reflect possible temporal changes to hunger hormones that were mediated by the morning exercise. I find that high intensity workouts literally kill my appetite for a few hours. Sometimes I will not want to eat anything at all, but I will usually make an effort to put something healthy in my stomach. Walking or other low-intensity activities don't have the same effect. It's easy to test what happens to weight after exercising. Measure it, making sure not to eat any more than usual during the testing period--say, a week. I did this and found exercise made no difference to weight either way; nor did lack of exercise. Exercise won't make you eat more unless you are an instinct eater, in which case the variables would be hard to measure. Just stick to your normal mealtimes, snacks, and drinks whether you exercise or not. If you always feel like eating after exercise, exercise before a mealtime. In short, though I believe there's something to be said for the theory that exercise doesn't lead to weight loss, I don't believe this has anything to do with exercise making you eat more (which implies that exercise would make you lose weight so long as you ate the same amount--which for me it doesn't. I think there's too many moving parts to ever really know what it's contributing to the ca/co equation for average Joe who doesn't live in a metabolic lab. The comment of Unknown rings my bell "I get stimulated and happy, sometimes euphoric exercising." As a person with multiple allergies, I consider being high during Zumba class to be the safest option to get high in my case. According to my observations, too much cardio doesn't result in a weight loss. Probably, leptin is involved. The blogger http://itsthewooo.blogspot.com/ participated in the leptin supplementation trail for people with low leptine levels. She was the only person who had low leptine due to her weight loss. The rest were people engaged into too much sport activity. I lost weight as a result of LC dieting. After I started that diet , I also reduced hours of cardio from 1.5 hours a day to 3 hours a week. May be it helped too. The LC eating kills appetite regardless of a lifestyle. Nowadays I do more yoga and Thai-chi, some interval training, a little bit of Zumba and rollerblading for getting my cardio-high. I have reached 51 years and accumulated some damage to my joints during years of being physically active (it didn't keep me thin), it is about time to slow down. My own experience is that there seems to be a "delayed reaction" to appetite after rigorous exercise. I'm an exercise fiend. Generally, I find that I am not that hungry on the days of my hardest workouts. A day or two later though, I'm tearing the door off the fridge. There is also evidence for delayed compensation for low kcal intake. Most people fluctuate in their daily kcal intake by a few hundred kcals. If you look at the patterns, low days tend to be followed by increased intake 2-3 days later (mostly 3). Also, high days are followed by low days 2-3 days later. So there is a delayed compensation for energy balance changes. The problem is, you go do your hour or so of "intense" exercise and burn far fewer calories than you think you did. Then you come back and understimate the calories you are consuming. I got "fat" training 2+ hours a day for nordic ski racing. Weighed 15lbs more than I do now, 18 years younger then too. Exercise does NOT blunt my appetite. At the end of the day you need to be disciplined to create a calorie deficit via exercise, diet or both. Another idiotic believer in the possibility of constant discipline. For Stalin participants of Minnesota starvation study would be a bunch of ravenous zombies who couldn't control their constant hunger. Just in case - I am disciplined in my lifestyle choices more than most average exercisers and dieters. The key to success is to find your personal path of less resistance. Are you inferring that Ancel Keys' subjects in the infamous Minnesota study - used by the dishonest Dr.Eades to prove the existence of a "metabolic advantage" - were actually eating each other? When you have discipline and an iron will, you can overcome more adversity than you think you can. Unless you are naturally gifted, you have to be disciplined to take a diet or exercise program or university studies, etc. to a successful conclusion. No amount of discipline can overcome real hunger. You will be interested to hear that I have not experienced hunger since I adopted a Hunza diet. I expect obese people think hunger is normal, but 30 years ago I discovered it isn't. Hunger means you are starving, and if you are obese it means you are starving for micronutrients. Your body must have them, and the urge to get them is overpowering, but paradoxically most things you really want to eat have had them removed. This is the really interesting question: why do hungry people prefer micronutrient-depleted food? Is it because without the micronutrients, their brain does not work properly and cannot register pain? Yes, I was referring to the Key's starvation study. 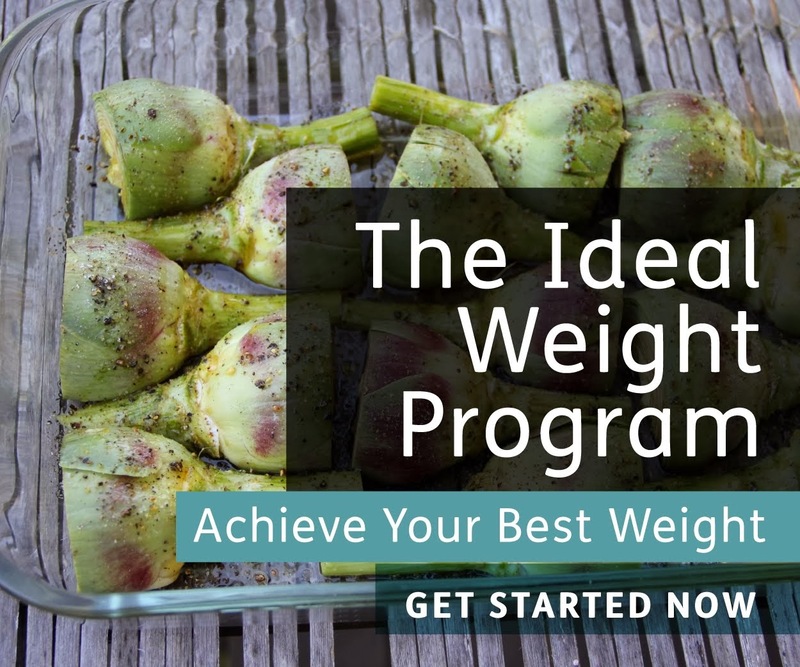 It was not done in order to please Dr. Eades, rather for all to observe the limits of reliance on motivation alone.I am at my goal weight now, however, I have to admit I didn't have an enormous amount of fat to loose on the first place. Before I started to experiment with a LC diet, I thought I had an unusually strong sense of hunger, had to carry emergency snacks with me, could develop a migraine if not ate in time, needed a lot of effort and discipline in order not to overeat. Now I can delay my meals without a discomfort and even fast. There is a room for a discipline still because people may eat for other reasons than being hungry. I see an advice to rely mostly on a will-power as an equivalent of relying on a brutal force alone for solving all life problems. Humans should exercise their intelligence on a first place . Being abnormally hungry is a sigh of a wrong diet choices. You are exercising discipline by sticking to the hunza diet and avoiding junk food. You are exercising discipline by sticking to the lc diet and avoiding junk food. Congratulations to both. Your diet discipline has made you both successful and happy. Wasn't it worth it? Would you have been successful if at the first sign of hunger you had run to mcdonald's and ordered a number 3 with a large chocolate shake? Of course not. Oh by the way, speaking of hunger, this dude went on a 384 DAY FAST, lost 275 pounds and he didn't die. This is a very complicated topic. What seems to cause the most effective weight loss is exercise which is made painful due to excess weight. In particular, long-distance backpackers in mountainous terrain tend to lose excess weight very rapidly. In extreme cases, the weight loss can approach a pound a day of combined fat and muscle. A half pound/day of fat loss is quite common (1750 kcal to supplement 3000 kcal of food intake, for a typical man burning 4750 kcal/day). Hunger is painful, but pushing an overweight body loaded down with enough food to keep from losing weight 15 or more miles a day up steep hills for weeks on end is even more painful. The mind makes a decision to endure the first pain so as to reduce the second. Same thing probably occurs with marathon runners, though I have no personal experience with that. I have been a long distance runner for about 4 years. Every single time I train for a Half or Full marathon, I gain weight (10-15 lbs) by race day, because all the running makes me so ravenously hungry. Then I tend to cut back my running and diet down again, and the cycle continues. There is no doubt from my experience that body fat is highly regulated. Any good eating day is always followed by intense hunger and lack of self control the following day. @comrade I think there is a difference between being disciplined enough to choose the right foods verses choosing the right quantity of the wrong foods. I find it is an easier task to choose the foods that actually satisfy your hunger without gaining weight as opposed to choosing foods devoid of micro-nutrients that must be manually restricted, leading to chronic unsatisfied hunger for the rest of your life. I don't think most could endure the latter no matter how much willpower they have. 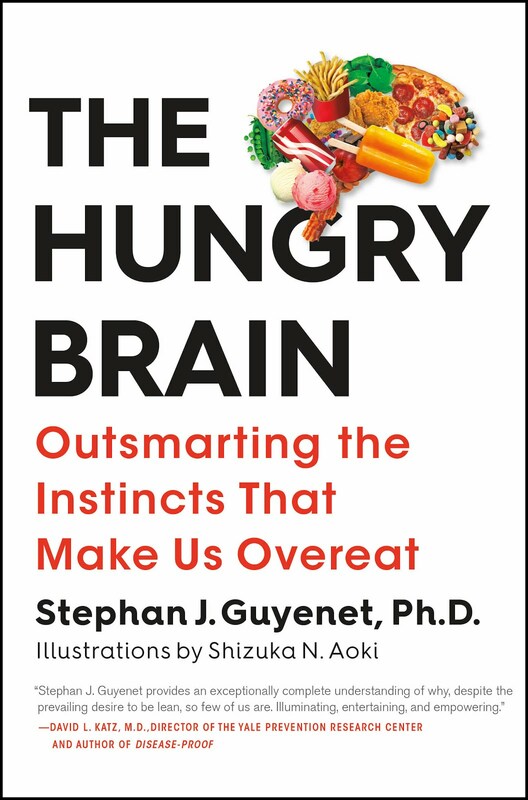 As for food reward, I still don't believe the brain determines how much food you eat, I think its reward circuitry is what drives your choice in foods, but the fat cells themselves control the quantity. Your brain knows exactly how to map the body's energy needs to certain foods available in the environment and it chooses accordingly. I guess the difference between backpackers and runners is that backpackers simply can't indulge their ravenous appetites except during town stops. Like many hikers, I had problems losing too much weight during my initial long-distance hikes, because I was eating mostly low-fat foods on the trail and then ate meat and salads during town stops, on the mistaken belief that my body needed these fresh foods to supplement the mostly grain foods I was eating on the trail. Later, I imitated the more experienced hikers by eating huge amounts of ice cream during town stops, and that stopped the excess weight loss. I also now carry much more food than in the past, plus I now include high-fat dry-roasted peanuts or cheese in my trail diet, to supplement the instant rice and potatoes and bread. proves my point in the best possible way . I bookmarked it for a future use. Fasting person was in the ketosis and for that reason didn't suffer as the participants of Dr.Ancel Keys experiment were. Next time I would bring that set of studies as the explanation why, in my opinion, a ketogenic diet is preferable to the "everything in moderation" approach. I dont think so as exercise help to keep the body fit and active and also helpful in burning extra calories it regulates our normal diet to healthy diet. This is a late comment, a nonscientific observation from decades of participation in endurance sports. If I have a big day (say >2500kcal burned) and I do not eat enough to compensate for it that day before I go to sleep, I find it very hard not to overcompensate in the days afterward. Doing this over and over would lead to weight gain, much like your marathon friend. However, if I intentionally eat enough that same day to cover the calories burned, the next day I go back to completely normal diet. This allows me to stay leaner in steady state. Interesting post Stephan. I definitely intend to follow you. While not an expert in biochemistry, I have done much research for a short book I'm doing but I also have much anecdotal evidence that when I train people in sprinting, whether those in shape or out of shape, that they report going home and being starving! A biologist client came back with all her facts and figures about caloric burning by way of 15 sprints and how she should not have lost four pounds that week given the energy expenditure. Here's something to consider though - sprinting (and by extension maybe other exercises) have an effect on cellular mitochondria. I'm of the belief that intense workouts 'turns the furnace up' quite a bit and it isn't just a calorie in / calorie out equation. Anyway, good blog. So if those who's reward circuits are more activated are those who eat more, does that also mean they are the ones that feel better at the end of their exercise?